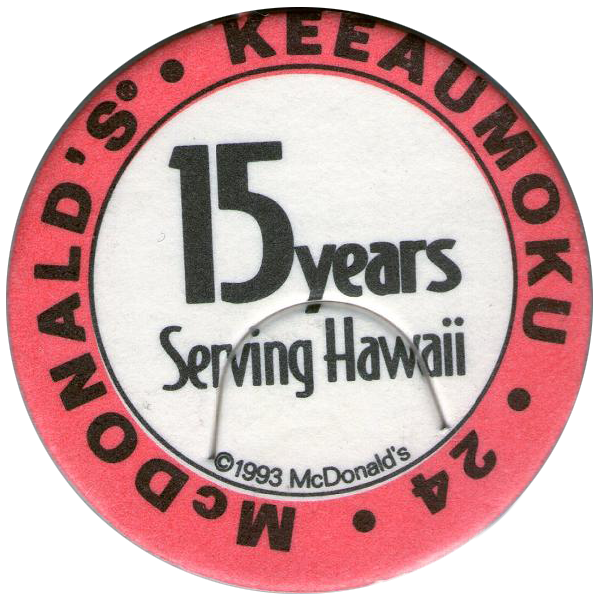 Info:These McDonald's Hawaii pogs / milkcaps were available from the different McDonald's outlets in Hawaii. 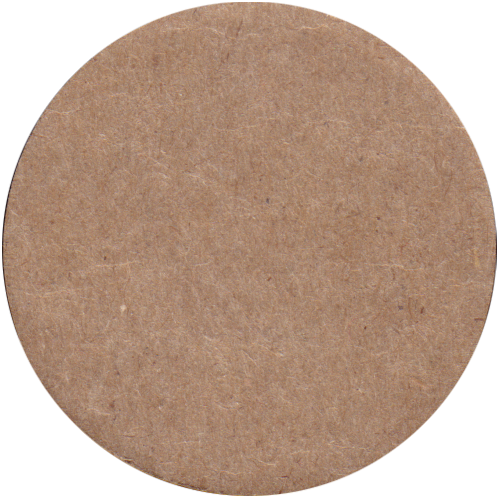 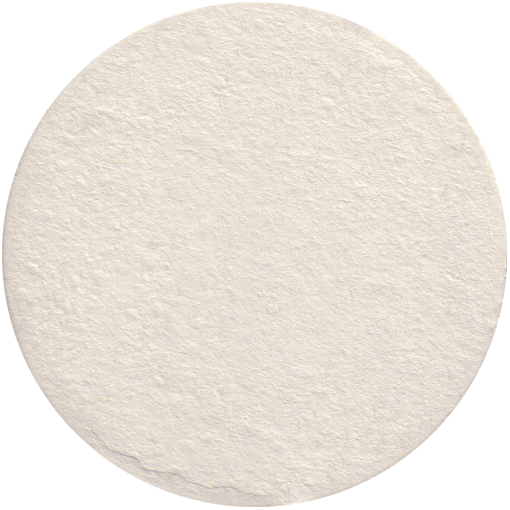 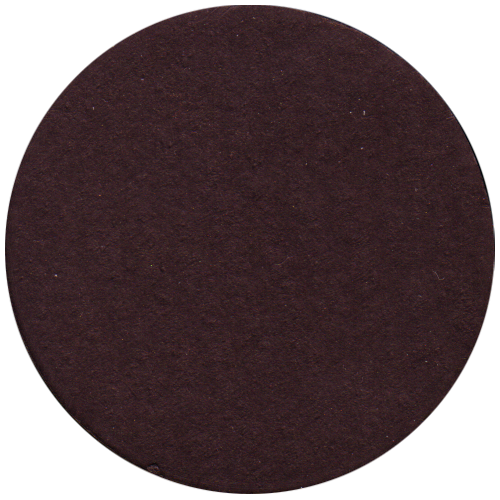 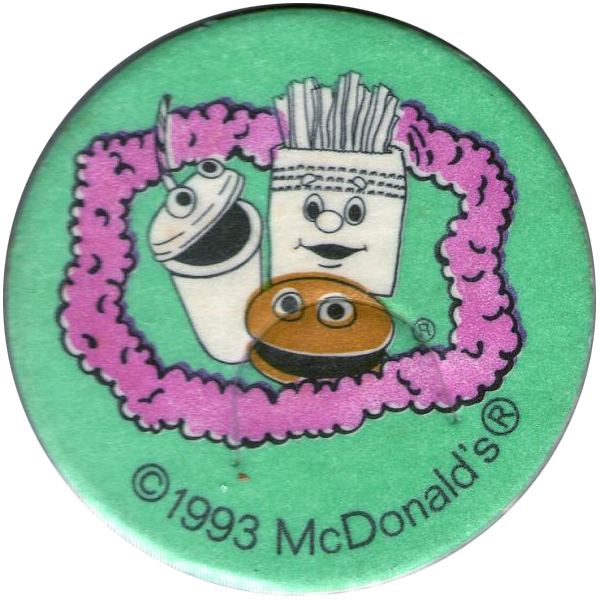 The pogs are different sizes and printed on different types of card. 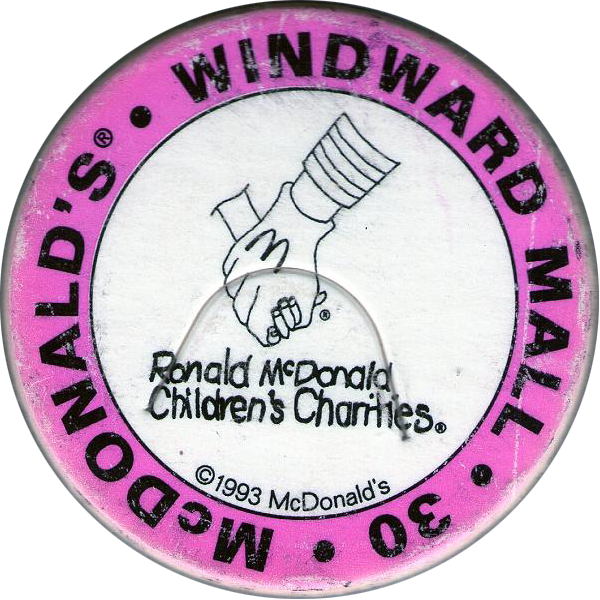 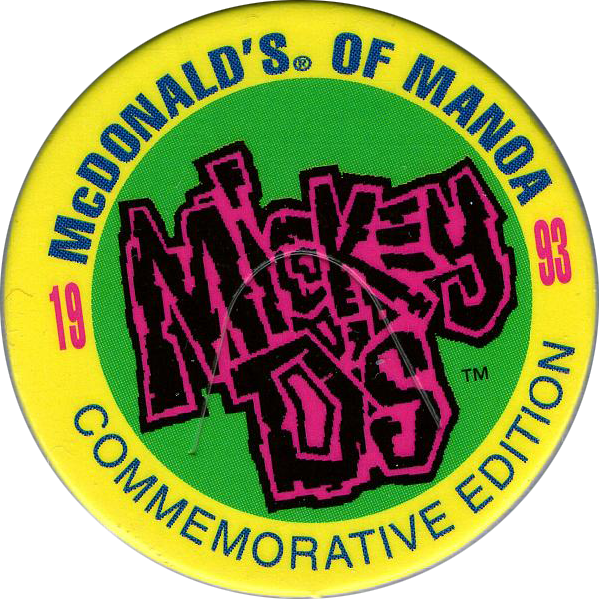 Some of the pogs are numbered on the front, with the name of a McDonald's outlet. 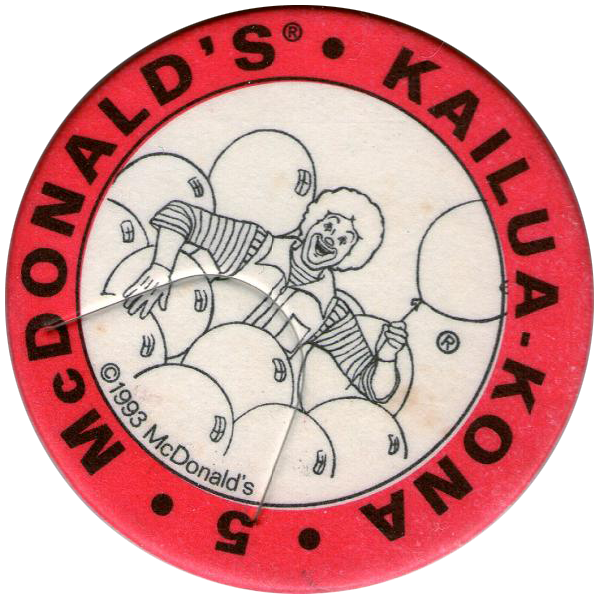 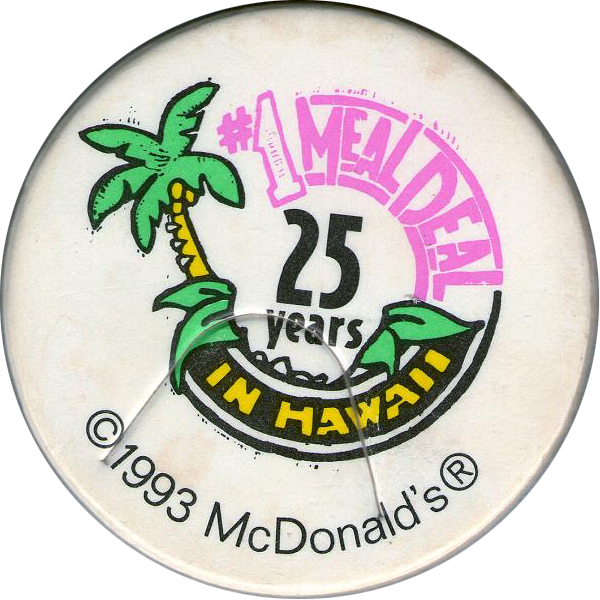 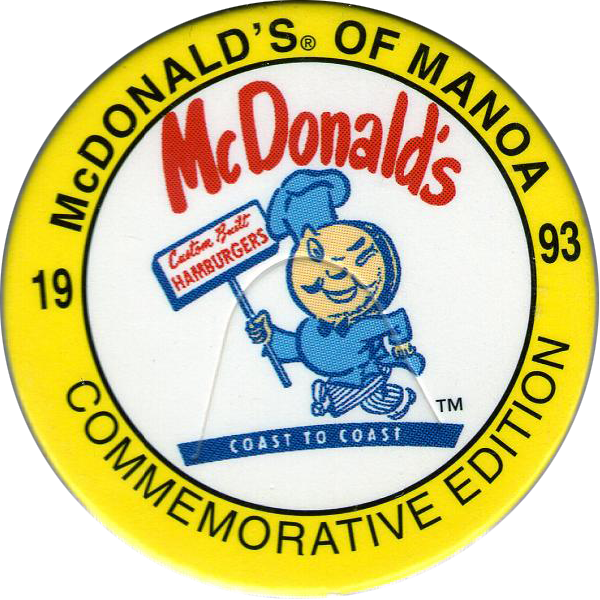 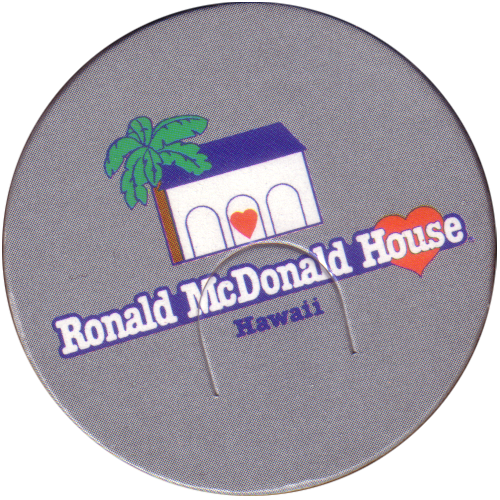 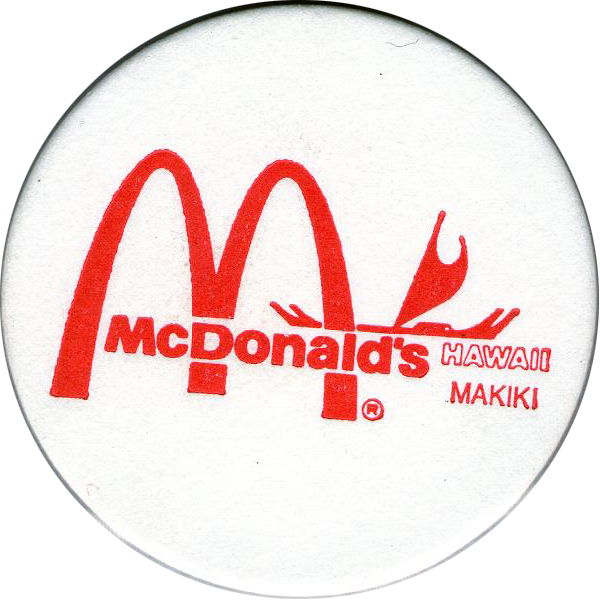 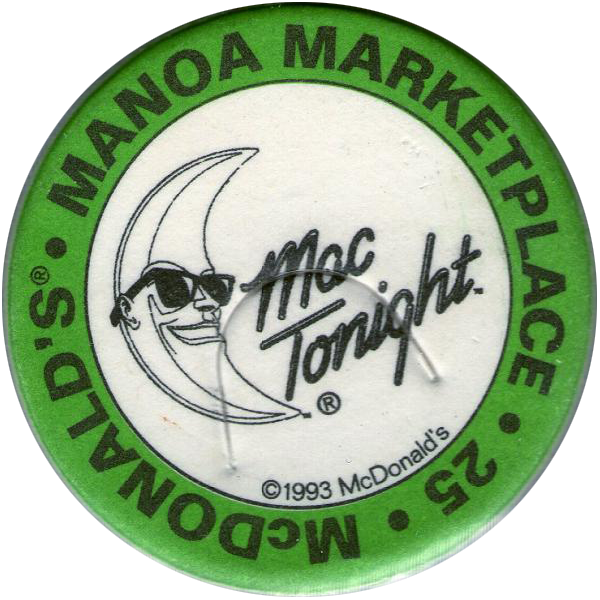 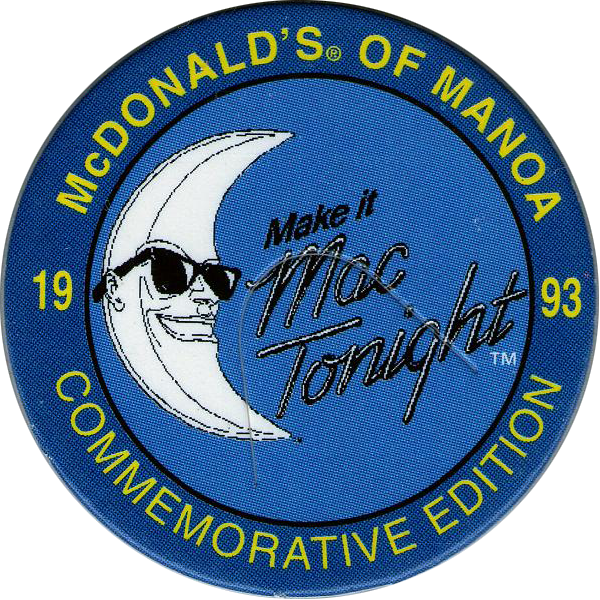 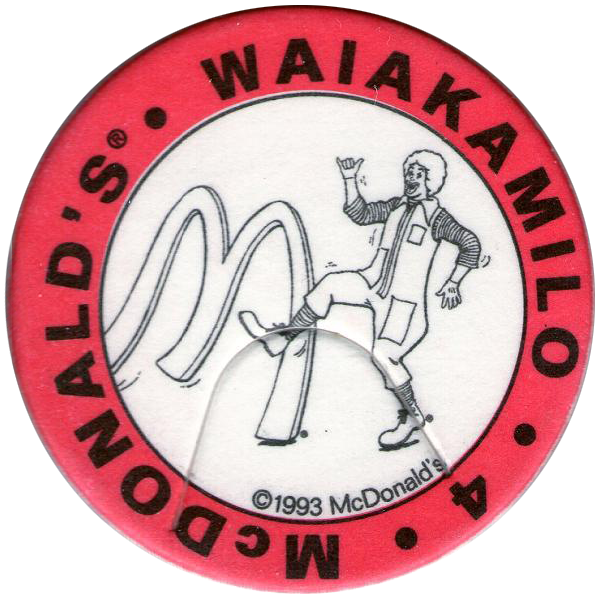 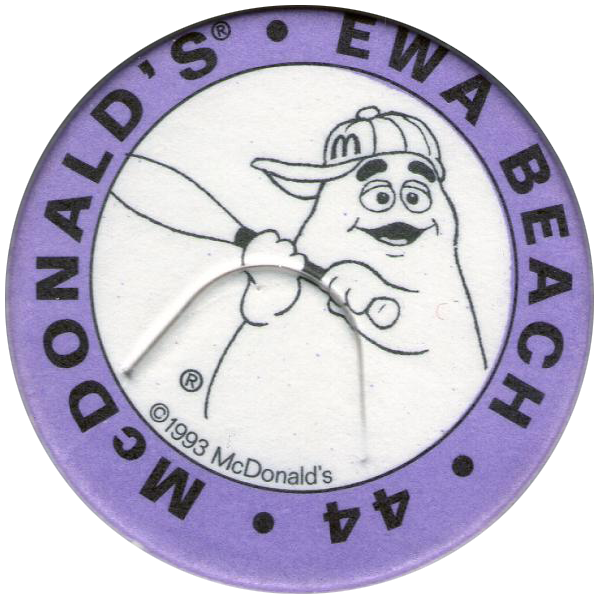 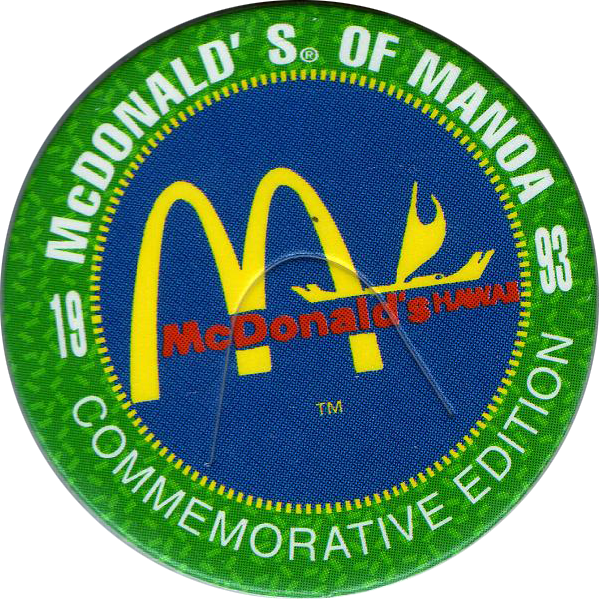 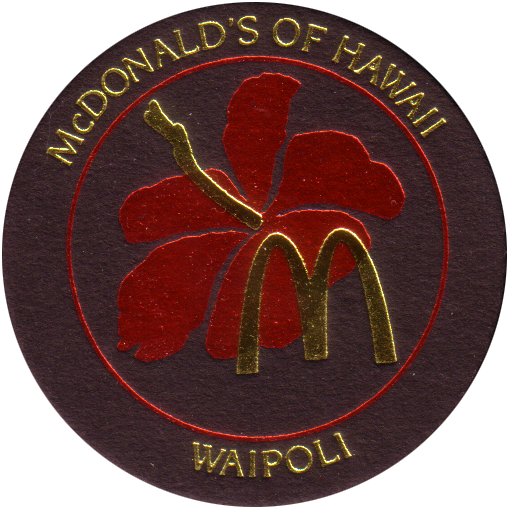 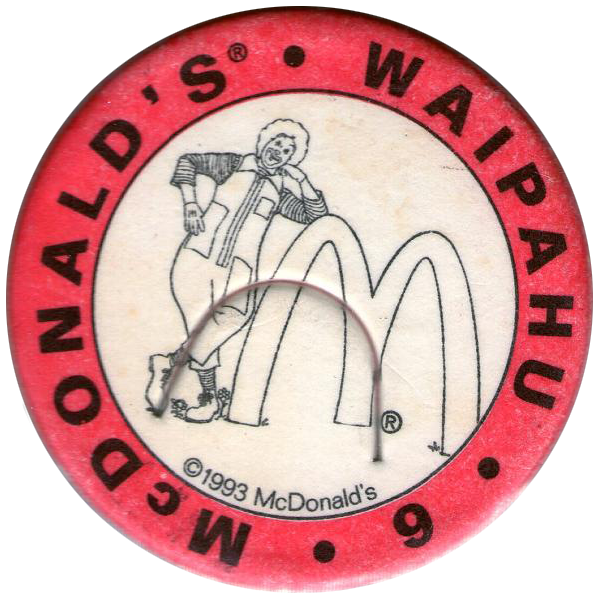 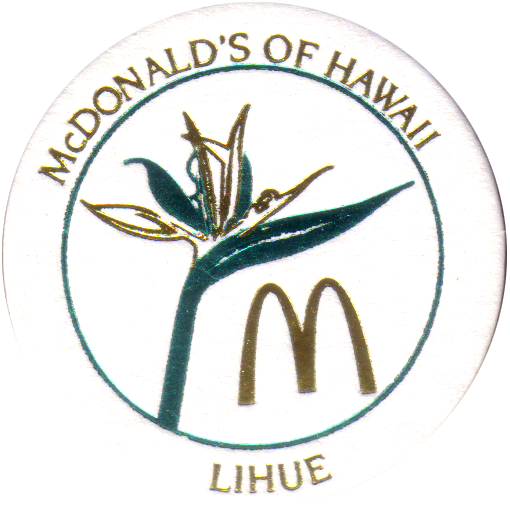 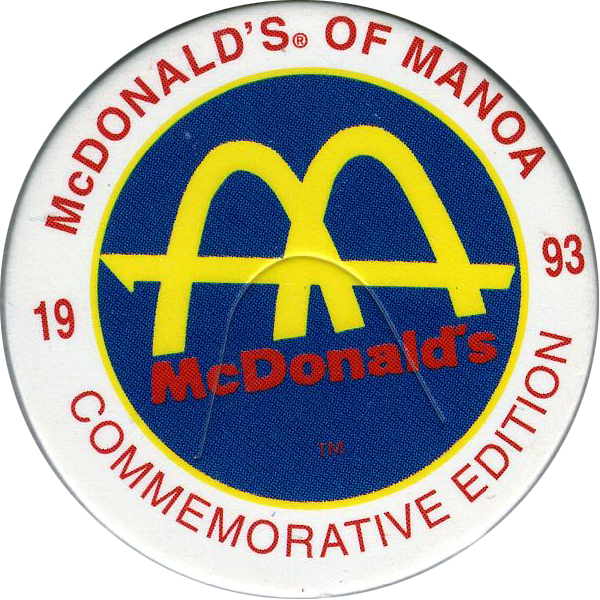 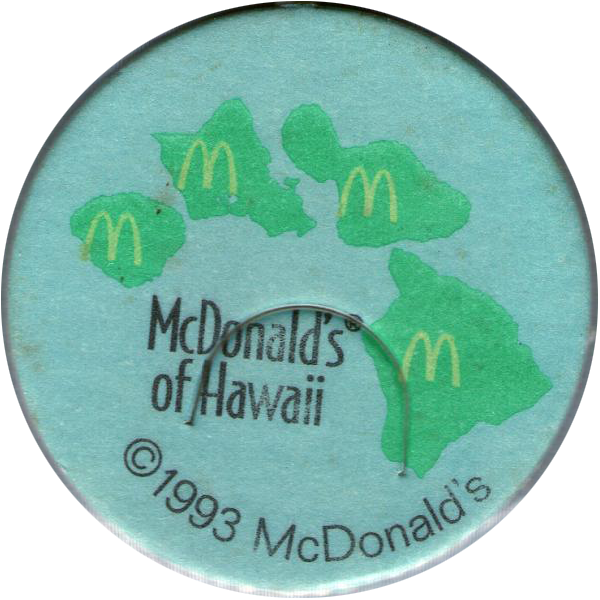 These pogs would have been only available from that particular outlet - to collect the full set you would have to visit each of the 64 McDonald's in Hawaii. 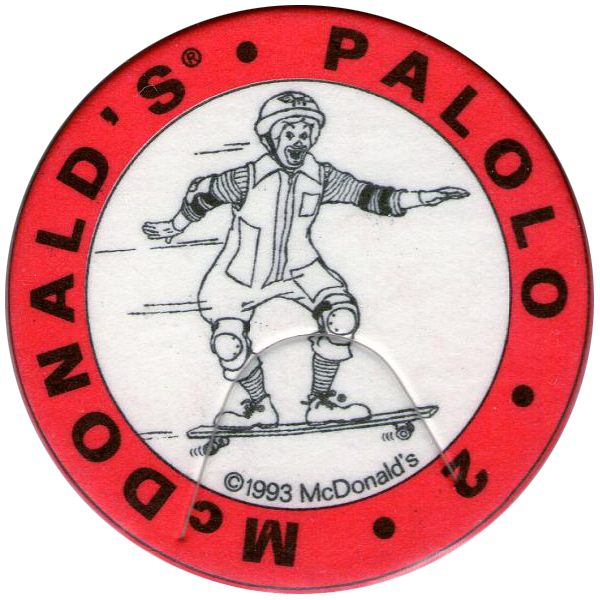 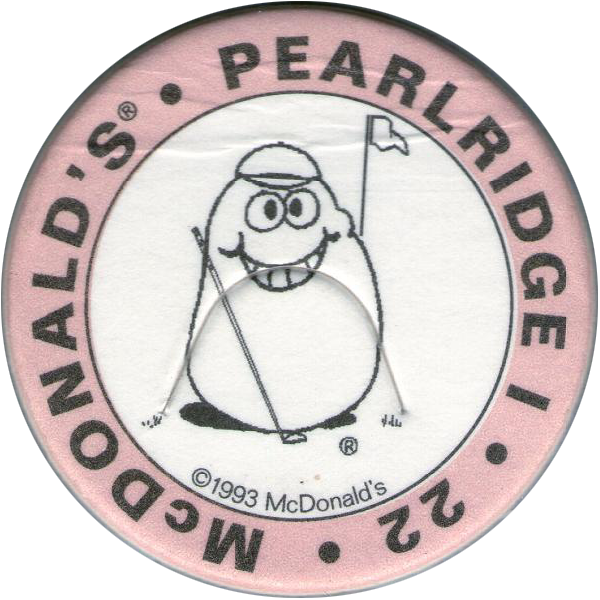 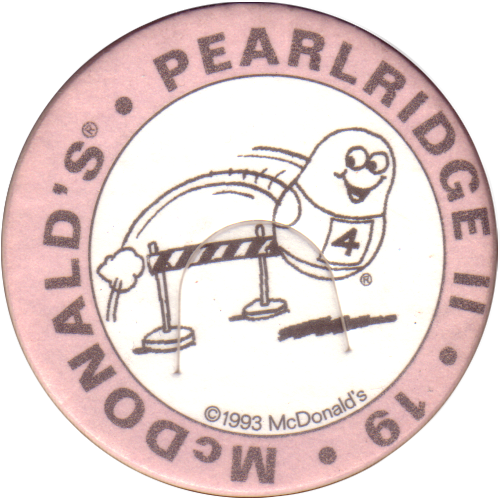 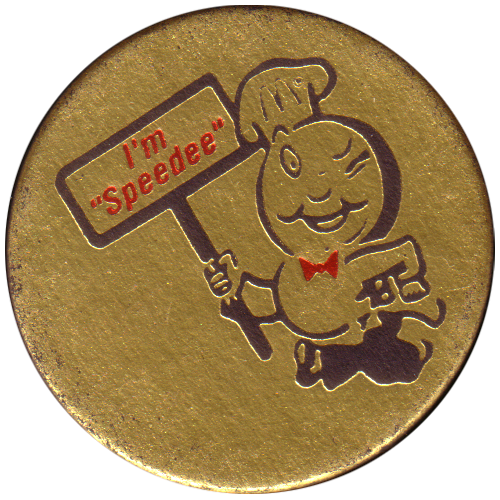 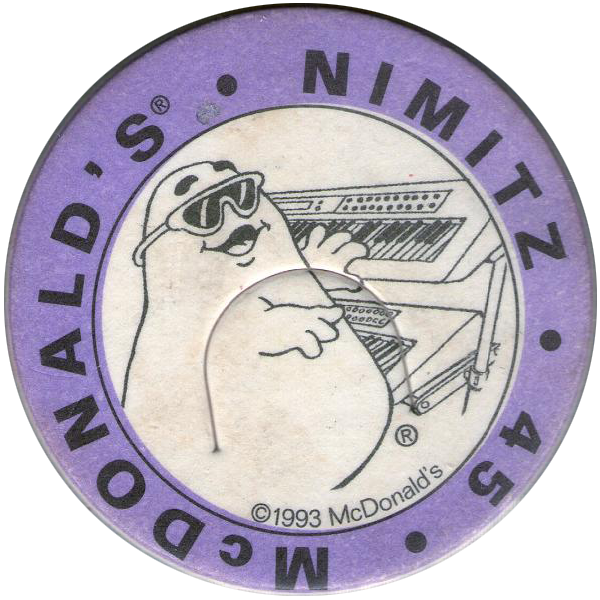 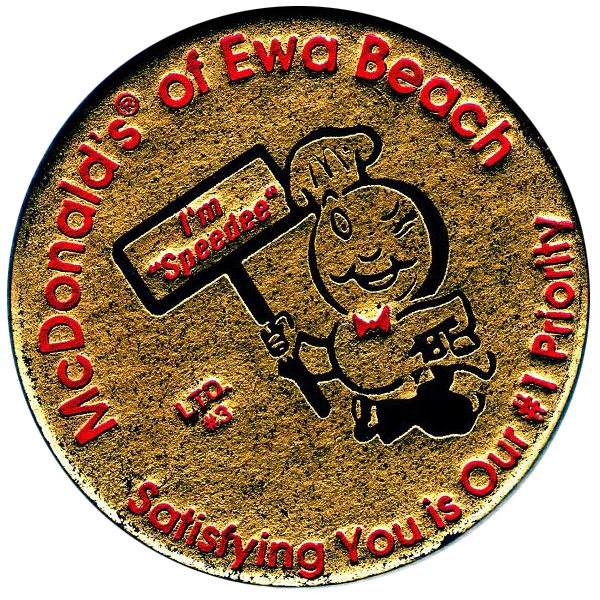 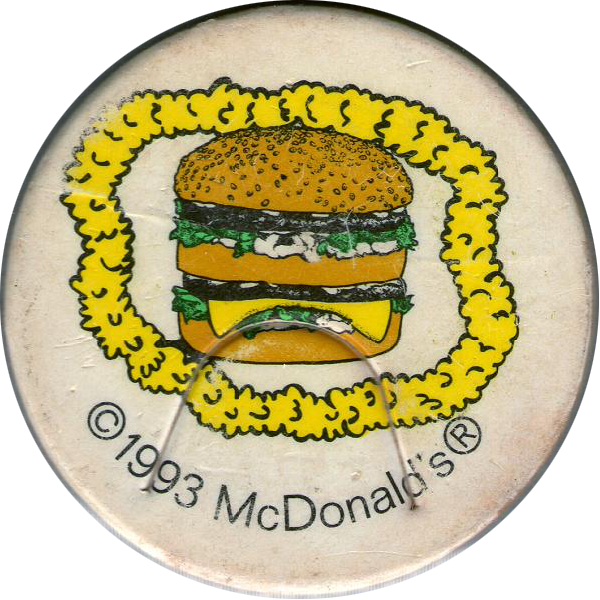 A few of the pogs feature Speedee, McDonald's original mascot (before Ronald McDonald). 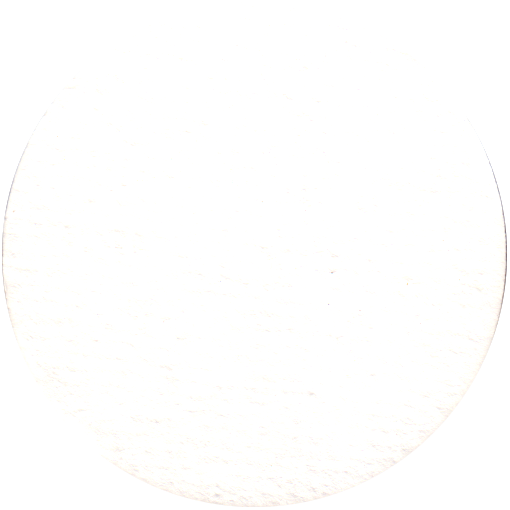 Thanks to Vincent for most of these scans and the info above.